Stanley Riswyn Colbert was born on 26th September 1921 in Sheffield, Yorkshire. His parents were George Cyril and Olive Bertha Colbert (nee Haynes). The family later lived at Orchard House, Cuxham, Oxfordshire from where Stanley attended Lord Williams’s School in Thame from 1934 to 1938. 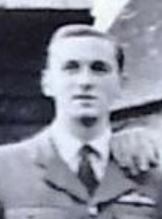 In April 1940 Stanley enlisted in the Royal Air Force Volunteer Reserve and trained as a pilot. By 1943 he was serving with 97 Sqn based at RAF Woodhall Spa, near Lincoln. 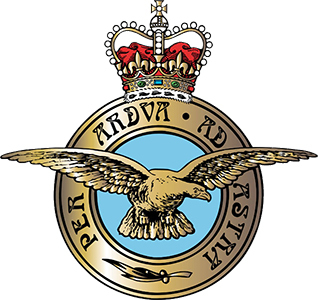 The Squadron initially flew Manchester bombers and now were flying Lancasters. On 9th January 1943 his aircraft R5738 took off at 17.07 on a mission to bomb Essen, Germany with a 4000lb “cookie” bomb. They were shot down by a night fighter at 19.10, east of Eindhoven, and crashed near Maasbree on the Dutch side of the Dutch/German border. 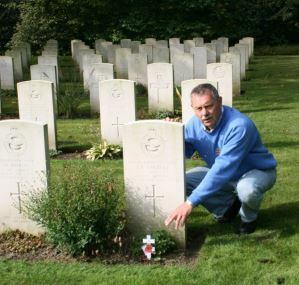 Stanley is buried in the Netherlands along with most of his crew. Air Gunner Sgt Dell (Royal Canadian Air Force) survived but subsequently died a prisoner of war.